Give the gift they will be thankful for every morning. 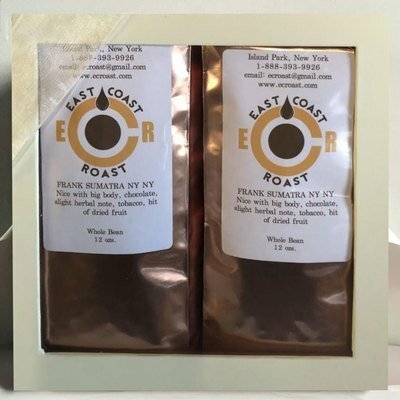 2 12oz bags of your favorite East Coast Roast coffee in a decorative cardboard box with a window display and holiday tag. 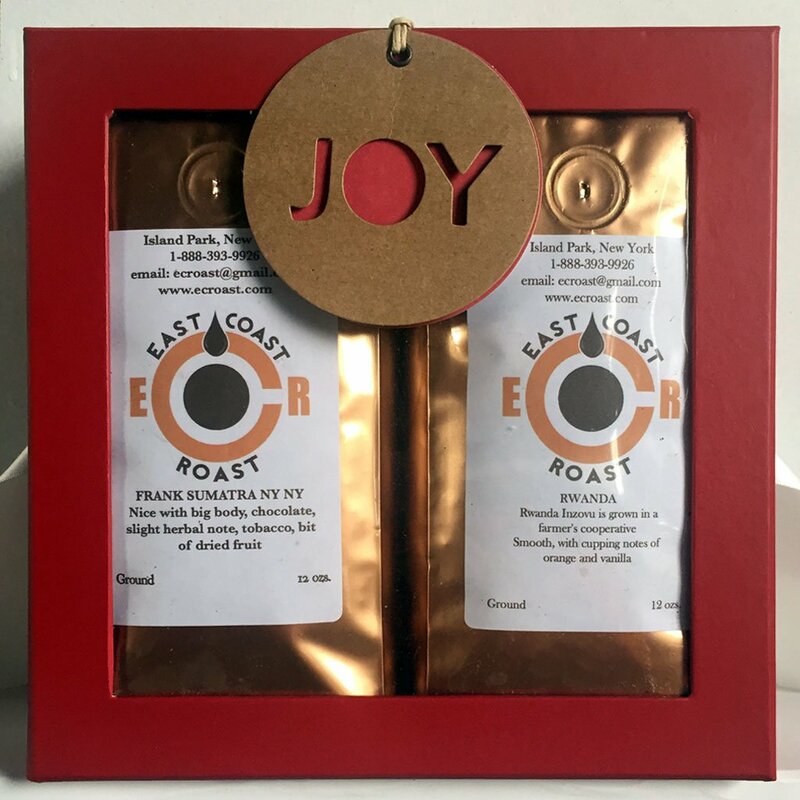 Limited edition box sets. 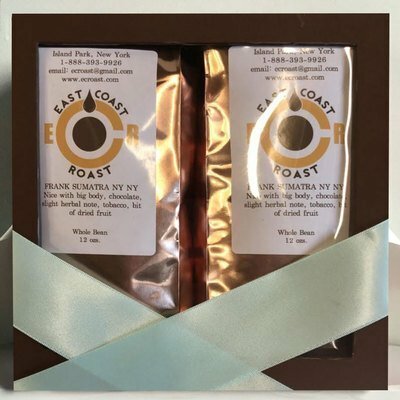 Order by 12/18 in order to ensure Christmas delivery in the continental US. 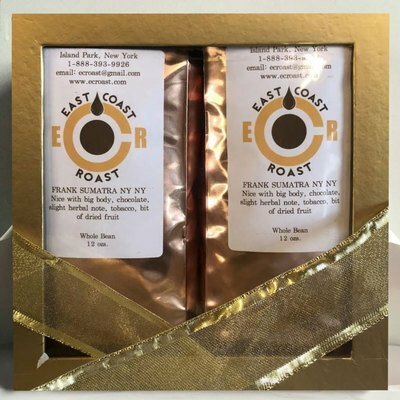 Coffee #1 Choose an optionBrazilian BFFColombia UDecaf EspressoFrank Sumatra NY NYKenya Dig It?The Melting PotMoorse Code EspressoPapua Don't PreachRwandaSweet Dreams DecafUganda Be Kidding! 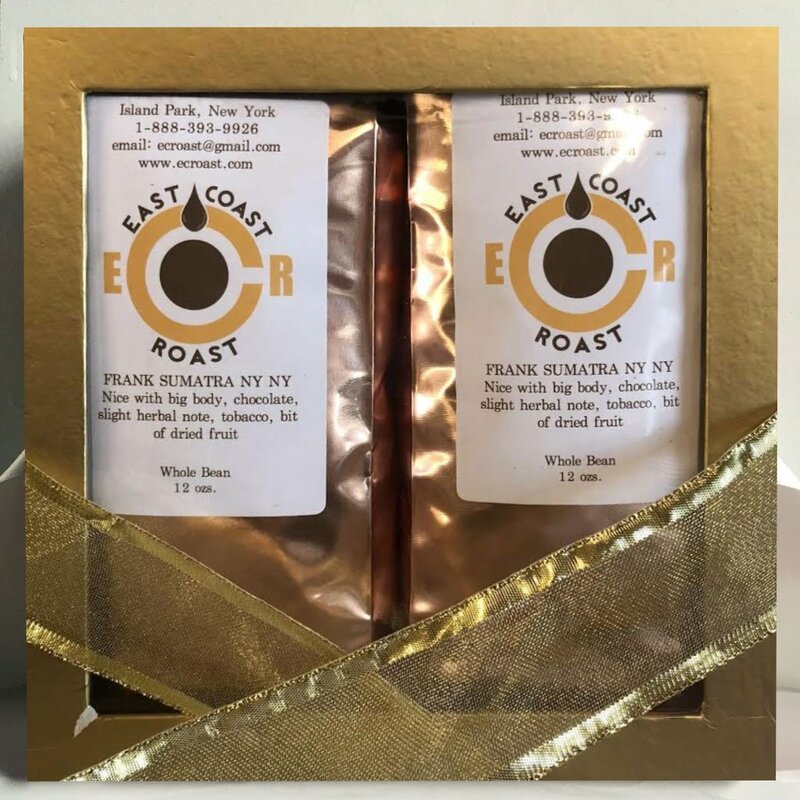 Coffee #2 Choose an optionBrazilian BFFColombia UDecaf EspressoFrank Sumatra NY NYKenya Dig It?The Melting PotMoorse Code EspressoPapua Don't PreachRwandaSweet Dreams DecafUganda Be Kidding! Brazilian BFF, Colombia U, Decaf Espresso, Frank Sumatra NY NY, Kenya Dig It?, The Melting Pot, Moorse Code Espresso, Papua Don't Preach, Rwanda, Sweet Dreams Decaf, Uganda Be Kidding! Get $5 off any order* $50 or more! *Does not include our already discounted gift sets & subscriptions.